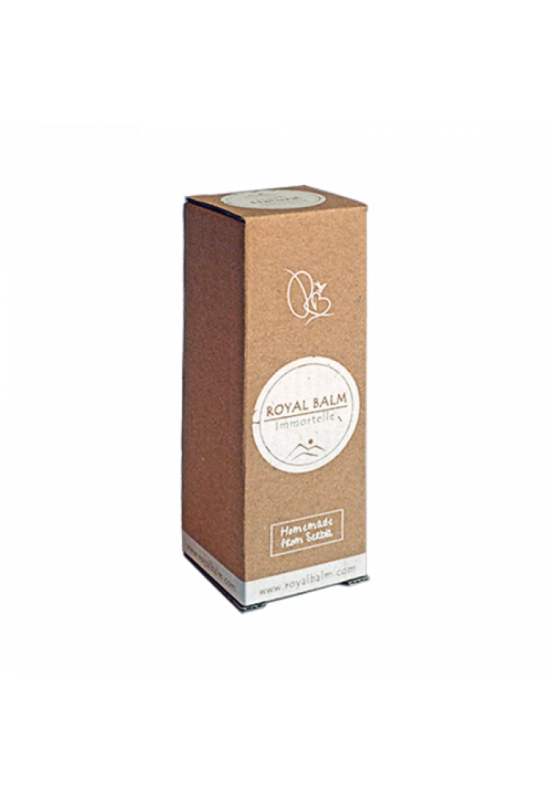 Effects Royal Balm natural cream for dry skin contains natural ingredients that provide the skin with the necessary elasticity and hydration. It quickly removes the feeling of tightness and flaking as well as the appearance of redness and itching. 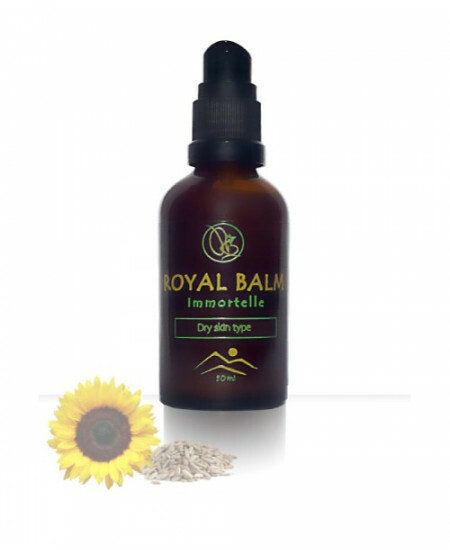 It deeply nourishes the skin and it is quickly absorbed without clogging the pores. Thanks to its wax, marigold coats the skin and forms natural protection from external influences. 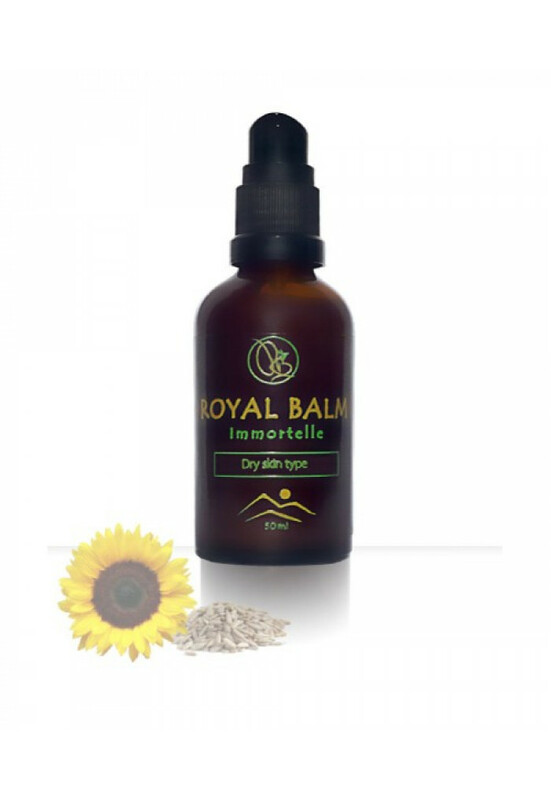 The dry skin type, as its name suggests, is characterized by a lack of moisture. The skin does not shine and has no visible pores. This type of skin is often tight due to the lack of moisture. The lack of moisture occurs because the skin itself does not produce sufficient amount of sebum that is necessary for moisture so it is prone to flaking. This type of skin is the most prone to wrinkles, especially around the eyes. Therefore, dry skin requires special care and additional hydration. Natural cream for dry skin contains natural ingredients which will provide the skin with necessary elasticity and hydration. 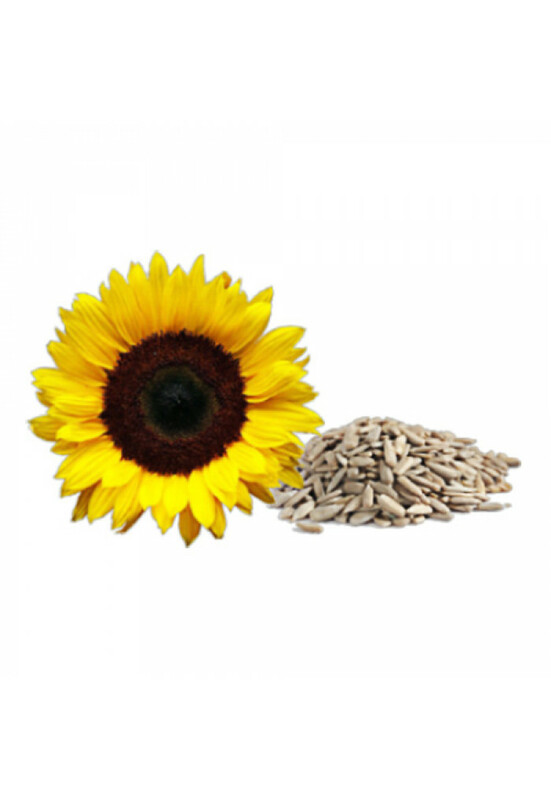 Each one of the following ingredients, for itself or in combination with other ingredients, contributes to the care of dry skin. The cream is at the same time light enough so that the skin could breathe and it also quickly relieves the feeling of tightness and flaking as well as the appearance of redness and itching.